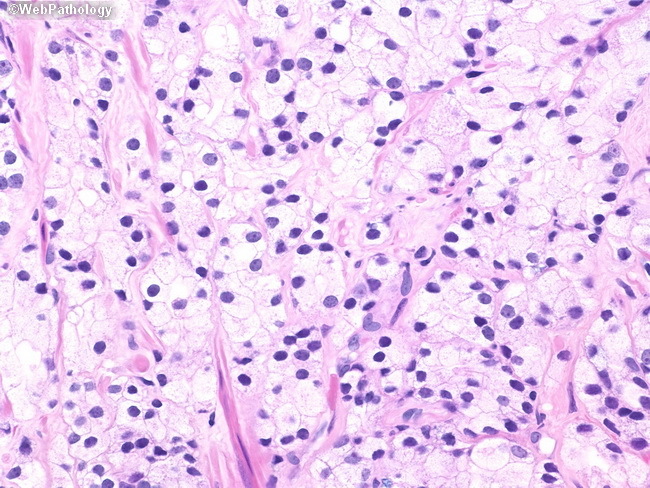 The tumor cells are arranged in anastomosing cords and small nests. They have clear or pale eosinophilic cytoplasm and small hyperchromatic nuclei. This pattern bears some resemblance to renal cell carcinoma and is called the hypernephromatoid pattern.